Lately I’ve been playing with a new band, Big in Bremen, whose work I can only describe as Wi-Fi-enabled Gypsy Music. I play trumpet and sing a couple songs (I enjoy singing “Streets of Laredo”). 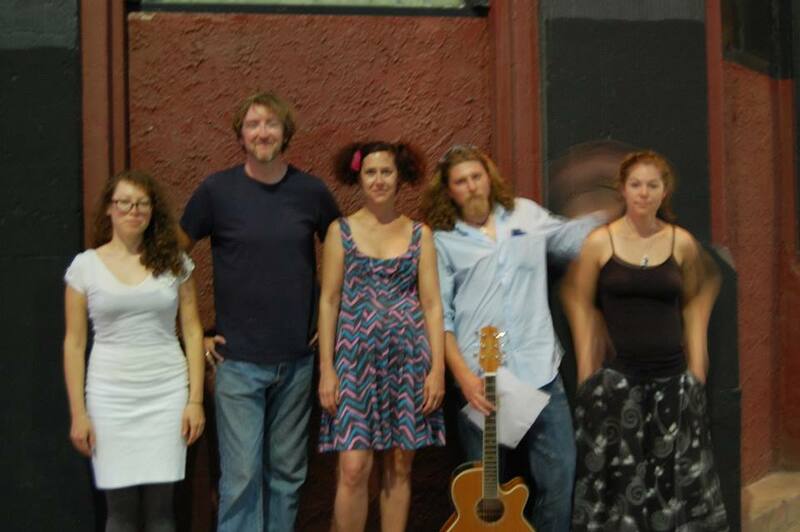 We perform songs in Russian and French, Mamas & Papas covers, and now and then a lesser-used song I wrote for Fogelfoot. The only traditional instrument is a guitar. There’s accordion, trombone, and violin, too. Here’s a photo taken the other night at Club Fais Do Do, a place full of adventure for me. People kept asking if we were NSync.